A delightful little book with a picture of a smiling waft of breeze on its cover. It instantly reminded me of an ad I'd seen long ago in which the wind plays mischief with a little girl. Wind - a moving mass of air. When gentle it brings relief from the clutches of oppressive summer heat. In a more powerful form it brings hope in the form of black rain-laden clouds to parched lands. In its destructive form it can wreak havoc like nothing else. In this cute book the author explores the little ways in which the wind, though it cannot be seen or sometimes even heard, plays with us and teases us. So we ask - who makes us all cool after we bathe? Vayu the Wind! Who makes the curtains go a-flutter when the windows are open? It is Vayu the Wind of course! Who brings delicious smells of yummy foods even we cannot see them? 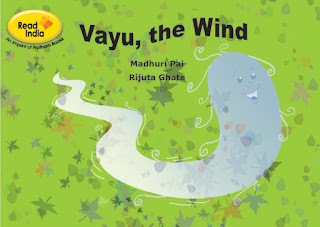 Why of course, it is Vayu the Wind..
Each page has simple text easy enough for a beginner reader, and on the other page is a lovely illustration of the various antics of our invisible friend Vayu. 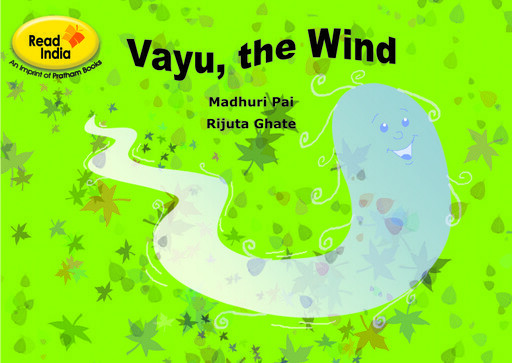 A lovely book, it introduces the concept of wind to a young child in a very basic and relate-able manner. And it costs, like all Pratham Books, a princely sum of twenty rupees. 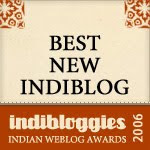 It is available in English and nine Indian languages. We have copies in the four languages we are most familiar with and as usual my children like exploring how the same thing is being said in different languages. Though they are long past the intended age group of the book, it continues to remain a firm favourite. The sampling (food, bath and curtains) set seems very different from what we've typically come across so far. Nice! Thanks Chox, I think lil P will like this one. This was among the first set of Pratham Books that were brought home.Cute little book. Like Vibha said, this is one the first books of Pratham that we got and the children loved it, when they were much younger ! M: I bet he will!